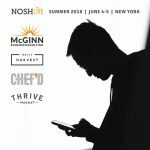 For those that couldn’t make the trip to NOSH Live Summer 2018 in New York City, we still want you to join the conversation. We have made the main stage presentations available to view via a free live stream, which runs through 5 p.m. ET today and returns tomorrow, June 5, from 9 a.m. ET to 3 p.m. ET. 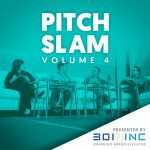 In five days, five emerging packaged food brands will take over the NOSH Live spotlight in our biannual NOSH Live Pitch Slam contest, presented by 301 INC., General Mills’ emerging brand elevator. 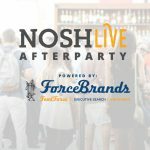 Up-and-coming startup food brands will serve their best pitch on the NOSH Live main stage, vying for attention, recognition, and a valuable Grand Prize. RxBar. Daily Harvest. Chef’d. Perfect Bar. For these brands, success means more than just sales in brick and mortar. Instead they, and the other leaders of CPG, are making sure their online presence is as strong as their in-store distribution. 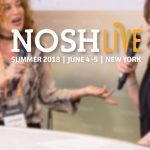 While breaking through the noise online can be difficult, the attendees of NOSH Live Summer 2018 will gain a leg up over their competition thanks to advice from these digital wizards. New and emerging food entrepreneurs will enjoy an exceptional chance to avoid early mistakes and accelerate growth. Hey guess what? 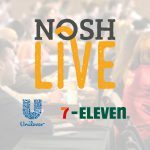 We’ve added a couple more key decision makers to the NOSH Live Lineup: Matthew McCarthy, who runs the food portfolio for Unilever North America, and Ashley Borden, 7-Eleven’s center store product director. 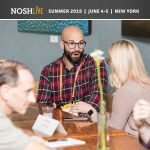 The pair join the roster of top entrepreneurs, investors, retailers and experts who will gather at NOSH Live for two days of learning, networking, sampling and socializing.